The coastal province of Krabi is a haven for nature lovers. From white sand beaches with aquamarine waters and stunning coral reefs, to cascading waterfalls and lush national parks, there’s no end of attractions for outdoor enthusiasts. Ao Nang, the most developed beach on the island boasts a palm-fringed shore that stretches out endlessly. There’s Railay, a mecca for rock climbers. Ton Sai is a backpacker’s haven, and peppered around the province are temples, national parks, adventure parks and more. 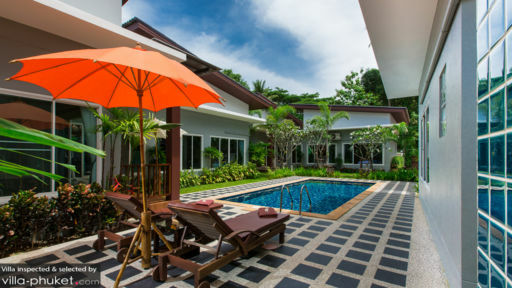 Your Krabi villa is immaculately decorated; the living spaces are decked out with stylish, contemporary furnishings, and the sun-dappled grounds feature a sparkling pool and garden. A fully equipped kitchen allows for self-catering or private chef services. There’s the option of additional services like grocery shopping, as well as in-villa massages and yoga classes. The beaches of Ao Nang, Phra Nang Cave Beach and Railay are popular attractions that draw in a sizable crowd during the high seasons. Railay, in particular has a vibrant nightlife scene that attracts young travellers and backpackers - but beyond the partying the area is also known as a rock climbing mecca, due to its myriad rock formations and stalagmites. Away from the crowds, there’s Tonsai Beach; surrounded by limestone cliffs, the coast is only accessible by boat, making it an attraction that’s considerably less crowded. Tubkaek Beach is another great option that offers a getaway from the crowds (it also boasts amazing sunsets!). Klong Muang Beach is just as quiet, although it’s not as picturesque as the other beaches. Take your pick from a wide-ranging array of dining establishments. We’d recommend Gecko Cabane or Chalita Café & Restaurant for its variety of European and Asian fare and warm, cosy ambience. Khaothong Terrace boasts a lush, tropical surrounding and uninterrupted views out to the Andaman Sea, while Carnivore Steak & Grill dishes out some of the best steaks on the island. 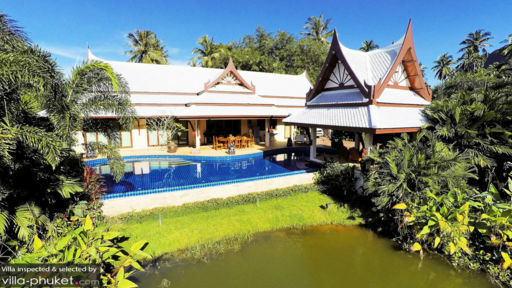 Nature lovers will appreciate the variety of outdoor activities that Krabi offers. Rock climbing enthusiasts may attempt one of the many routes in Railay - a destination that’s regarded as a rock climbing mecca due to its numerous rock formations and stalagmites. Experienced climbers may rent equipment from the sports stores for a self-guided climb (a map will be provided), while beginners may start off with a four-hour introductory class. There’s also kayaking at Tonsai Beach, scuba diving at Ao Nang Bay, Phi Phi Marine National Park or the King Cruiser Wreck site and outdoor adventure activities at the Tree Top Adventure Park Thailand. Bask in nature’s beauty as you hike along the meandering trails to attractions like Huai To Waterfall, Hin Phoeng Waterfall or the Khao Phanom Bencha National Park. And while it takes a fairly challenging climb to arrive at the Krabi Tiger Cave Temple, you’ll be well-rewarded with a panoramic view from the hilltop. 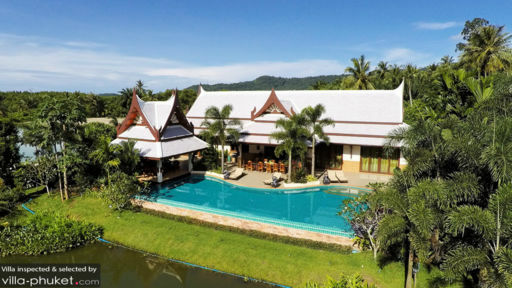 Balance out the hiking and physical activities with yoga classes at Marina Yoga & Reiki or Green Yoga Krabi, and incredible spa treatments at ultra-luxe venues like Breeze Spa (Amari Vogue) and The Naga Spa (Nakamanda). There’s also the option of private in-villa sessions - just ask your villa manager for assistance!